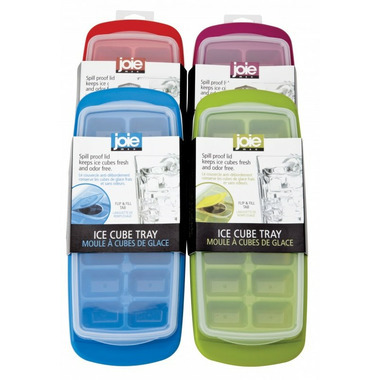 Keep your ice cubes fresh with the Joie Ice Cube Tray. 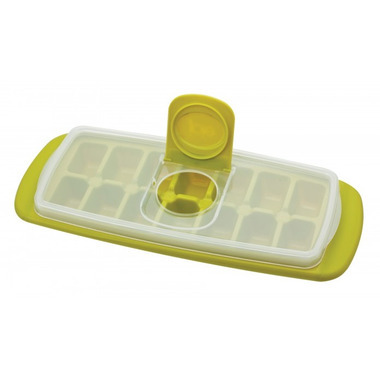 This ice cube try features a spill proof lid that helps to keep ice cubes fresh and odor free. These are awesome ice trays! Love everything about them. However, I do wish that I was able to pick the colours that I wanted. I got one red and one blue which was kind of disappointing. Any colour would have been fine... I just wanted them to match instead of having two different colours. Good invention to keep ice fresh and easy to fill. Work well and keep the crumbs out. Keeps the ice fresh without collecting gunk from the freezer. Can keep the ice clean with the lid! These trays work really well and are a good price compared to other places. No more crumbs in the ice cubes.